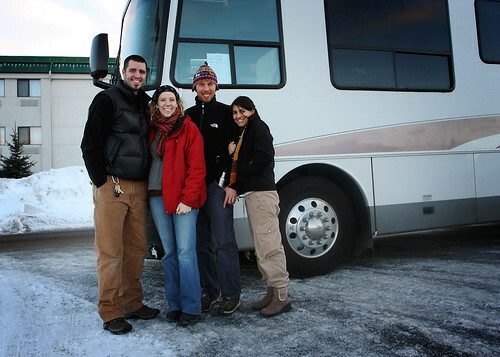 Head on over to Live Lightly to read about the sale of our RV to the fabulous Kevin and Annmaire Gianni! As the Live Lightly Tour launch gets closer and closer…Matt and I are increasingly aware of our need for additional income! That is probably the most frequently asked question…”how are you making money?”. Well, this is where your help is needed. We are continuing to do photography and odd jobs while on the road…but it’s proving difficult to maintain a steady income. To supplement those professions, we have partnered with a company, Shaklee, that has wonderful, earth-friendly products for home and body. We’re going to be selling them while we’re on the road…and the great thing is that you can buy them directly from our new Shaklee website and support the tour in that way. Their products and their company values align nicely with what we are all about…and that is, helping people make healthy choices for the earth and for their home/body. They make it easy to be green! *Note for Walk Slowly readers...you may be wondering why I would be promoting natural cleaning products when I blog about making your own. :) I love making my own...but I recognize that some people may not like making their own, may not want to make their own, or may not feel like they have time to mess with it. The Shaklee line makes it really easy to go green...and I love being able to offer a great alternative to making your own. Even before we were doing Shaklee...I still bought premade dish soap, laundry soap, and other cleaners that are harder to make. Don't worry...I haven't sold out :) Just wanting to offer lots of alternatives to the nasty, dangerous chemicals that are marketed as cleaning products.